The 2013 NFL Draft promises to likely be a wild one, with few can’t miss prospects, a few teams with a LOT of picks, and a lot of teams with either new GMs and new head coaches or with GMs and head coaches on the hot seat. Here are the 10 teams I expect could be making the most interesting and memorable moves in the draft. Round 1: 12th overall; Round 2: 42nd & 54th overall; Round 3: 77th & 82nd overall; Round 4: 111th overall; Round 5: 146th & 166th overall; Round 7: 217th & 224th & 250th (11 total picks). The Dolphins want to make a big splash. That could be Texas FS Kenny Vaccaro, or it could be a move up to get QB Ryan Tannehill’s old LT Luke Joeckel or maybe Central Michigan LT Eric Fisher. Round 1: 3rd overall; Round 3: 66th overall; Round 4: 100th overall; Round 6: 172nd & 176th & 205th overall; Round 7: 209th overall (7 total picks). No team has more ground to climb. Picks from the 3rd on – and particularly the 4th on – rarely turn into phenoms on Super Bowl teams. In the 2009 NFL Draft, Texans/Lions FS Glover Quin (112th) was about the only star drafted after (96th). After a robust 2010 NFL Draft 4th round, Seahawks SS Kam Chancellor (133rd), Dolphins SS Reshad Jones (163rd), Panthers DE Greg Hardy (175th), and Steelers WR Antonio Brown (195th) are the only studs taken through the end of the draft. I’m high on Steelers RB Jonathan Dwyer (188th), yet he doesn’t seem like an every down back, and RBs are often available after a draft is over. This could be a stronger crop, but Raiders GM Reggie McKenzie found many diamonds in the rought when he was with the Packers anyways: WR James Jones and TE Jermichael Finley were 3rd round picks, CBs Sam Shields and Tramon Williams went undrafted. Expect trade-downs for Oakland. Round 1: 7th overall; Round 2: 38th overall; Round 3: 69th overall; Round 4: 103rd overall; Round 5: 140th overall; Round 6: 174th overall; Round 7: 219th overall (7 total picks). Carson Palmer’s age (34 this year) leads me to believe the Cardinals wouldn’t hesitate to go QB in the 2nd if their dude is available (Mike Glennon? E.J. Manuel?). It will also be interesting to see later in the year how patient head coach Bruce Arians is, after arriving from a team that got to the postseason with a record number of young players playing. Round 1: 4th overall; Round 2: 35th overall; Round 3: 67th overall; Round 5: 136th overall; Round 7: 210th & 212th & 218th & 239th overall (9 total picks). Like the 49ers, Buccaneers, and Seahawks, having a fresh-from-college head coach gives Philadelphia an edge in that their head coach is incredibly well-connected in the college football realm, and also got to know the bulk of the top prospects during recruiting, getting to know how the kid’s mental make-up and work ethic were and are. Moreover, expect Chip Kelly to draft outside the box (even into the later rounds), though it will be hard to top Pete Carroll and John Schneider for most hits, having put together the #1 defense in points allowed. With so few holes left after free agency, the Eagles could really focus on adding more playmaking and perhaps take even more risks. 5th overall; Round 2: 36th overall; Round 3: 65th overall; Round 4: 132nd overall; Round 5: 137th overall; Round 6: 171st overall; Round 7: 211th & 245th overall (8 total picks). The team that always looks good on paper pre-season but underwhelms due to injuries (and maybe play-calling), the Lions want to follow up a solid free agency with a stellar draft. The Lions used to draft in the top 10 ROUTINELY. But, if they do again next draft, it will be for a new head coach and possibly a new GM. Round 1: 32nd overall; Round 2: 62nd overall; Round 3: 94th overall; Round 4: 129th & 130th overall; Round 5: 165th & 168th overall; Round 6: 199th & 200th & 203rd overall; Round 7: 238th & 247th overall (12 total picks). No team has repeated in Super Bowl appearances, let alone victories, since 2003/2004 New England Patriots. The Ravens have already added 3 former first round picks via free agency: DE Marcus Spears, FS Michael Huff, and ILB Rolando McClain. Round 1: 31st overall; Round 2: 34th overall & 61st overall; Round 3: 74th overall & 93rd overall; Round 4: 128th & 131st overall; Round 5: 157th & 164th & 180th overall; Round 6: 180th overall; Round 7: 227th, 237th, 246th & 252nd overall (14 total picks). Behold the mother lode! They have a lot of picks and have been drafting well lately. The 49ers and Seahawks are considered to be the most talented teams in the NFL. Round 1: 2nd overall; Round 2: 33rd overall; Round 3: 64th overall; Round 4: 98th overall; Round 5: 135th overall; Round 6: 169th overall; Round 7: 208th overall (7 total picks). It’s the first draft for GM David Caldwell and HC Gus Bradley (who coordinated the #1 defense in the NFL last season in points allowed, the Seahawks). I am intrigued by them because they have playmakers on offense and are in a division where the top 2 teams had struggles in the second half of last season. The Titans got better this off-season, though. That 1st pick of the 2nd round has about 20 hours on the clock, which is plenty of time to field offers, so it could be one of the most interesting moments of the draft. St. Louis traded for that spot last year to select WR Brian Quick. There is talk that they could try to trade back into the first and take USC QB Matt Barkley. Round 1: 9th & 13th overall; Round 2: 39th overall; Round 3: 72nd overall; Round 4: 106th overall; Round 5: 141st overall; Round 6: 178th overall; Round 7: 215th overall. Needless to say, this is the most important draft of head coach Rex Ryan’s career. New GM John Idzik was there for some of the greatest Seahawks drafts, and it will be interesting to see what kind of balance there is between “win now” picks and foundational picks (and picks that are both). Sanchez has told media that QB Tim Tebow’s presence negatively affected him, and he had 1/2 the TD throws he had in 2011 (13 vs. 26), against the same number of INTs (18), and an identical number of fumbles lost (8). Round 1: 16th & 22nd overall; Round 2: 46th overall; Round 3: 78th overall; Round 4: 113th overall; Round 5: 149th overall; Round 6: 184th overall; Round 7: 222nd overall (8 total picks). The have 2 first round picks. The Rams have been trying to fix WR for years now, and just lost arguably their only two developed WRs in free agency (Brandon Gibson to the Dolphins, Danny Amendola reunited with OC Josh McDaniels as New England Patriots). Round 1: 23rd & 25th overall; Round 2: 52nd overall; Round 3: 83rd overall; Round 4: 102nd and 120th overall; Round 5: 155th overall; Round 6: 189th overall; Round 7: 213th & 229th overall (10 total picks). What’s more intriguing than 2 first round picks? 2 first round picks for a team coming off a postseason game. Another interesting thought about their draft is that they could take a falling QB like Arkansas’ Tyler Wilson or Tennessee’s Tyler Bray as potential insurance in the event Christian Ponder doesn’t pan out. Hit the “Like” button or share if you will be tuned in to at least some of ALL THREE DAYS of the Draft (also, we’ll have undrafted free agent signings announced going into a FOURTH DAY)! Make sure you “Bookmark” NFL Gridiron Gab for the most extensive coverage of NFL Draft Weekend, April 25th-27th! 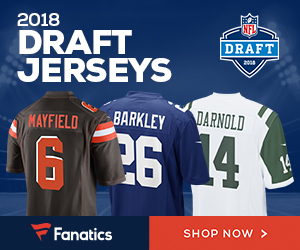 Be the first to comment on "Top 10 Teams to Watch on NFL Draft Weekend"